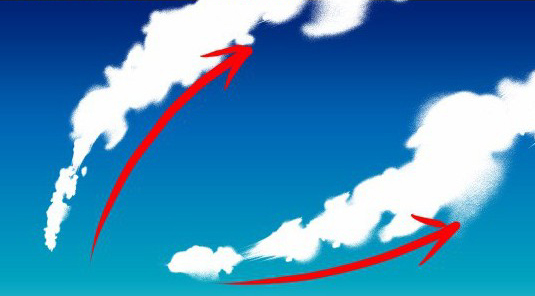 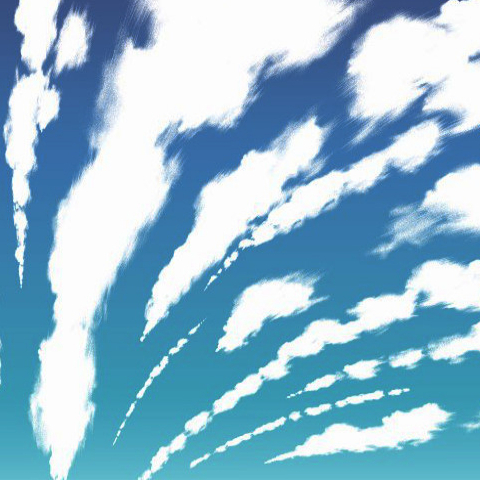 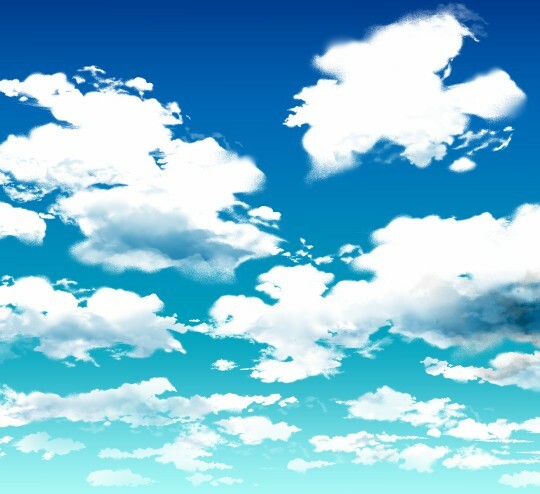 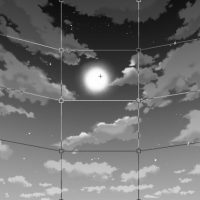 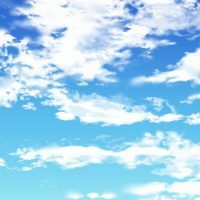 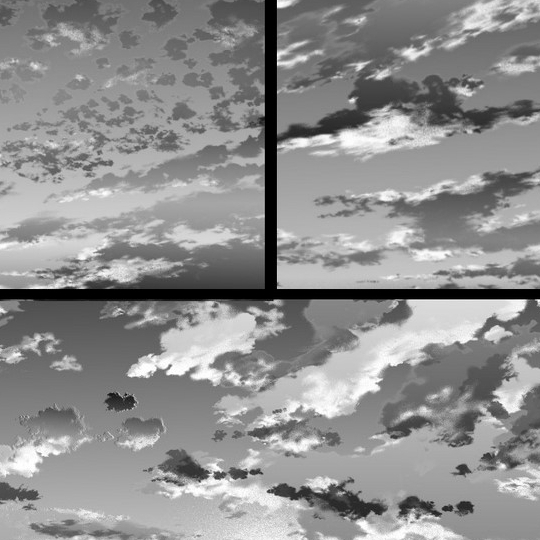 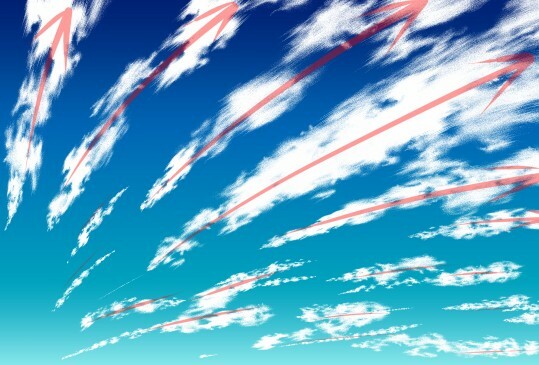 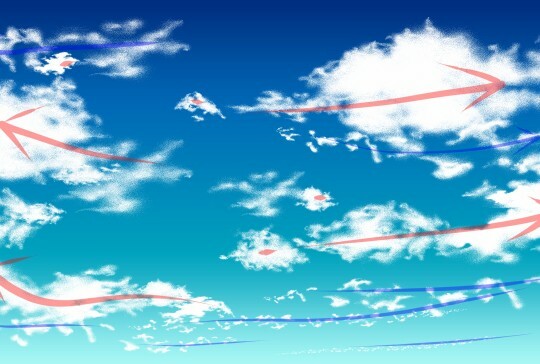 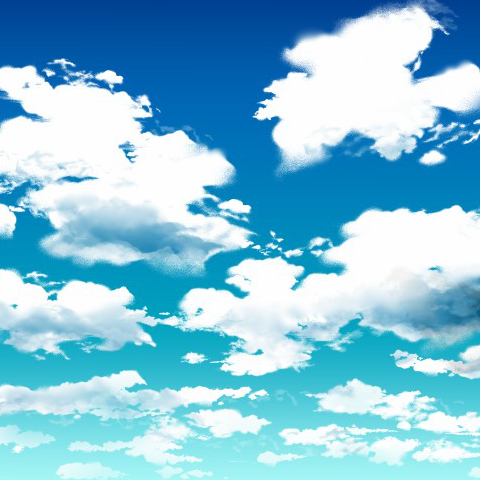 6 types of brush that can draw clouds freely in color and monochrome. 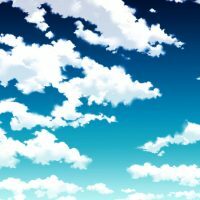 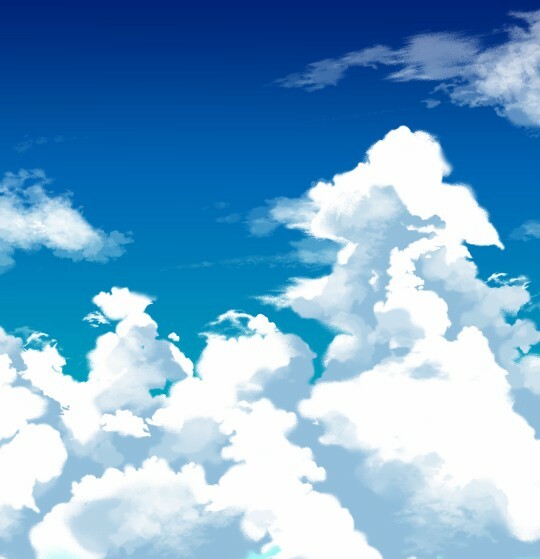 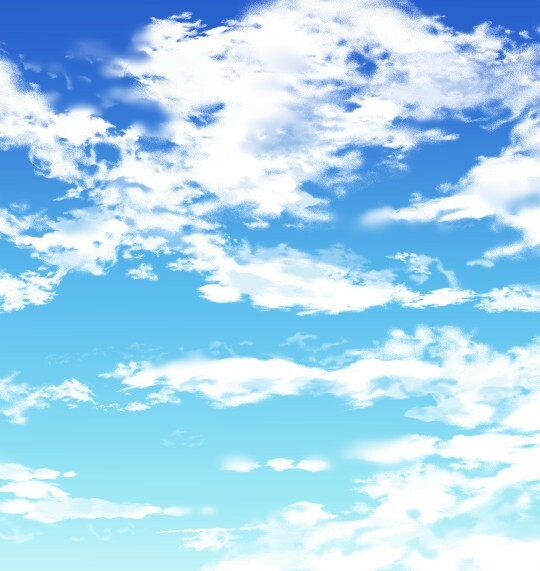 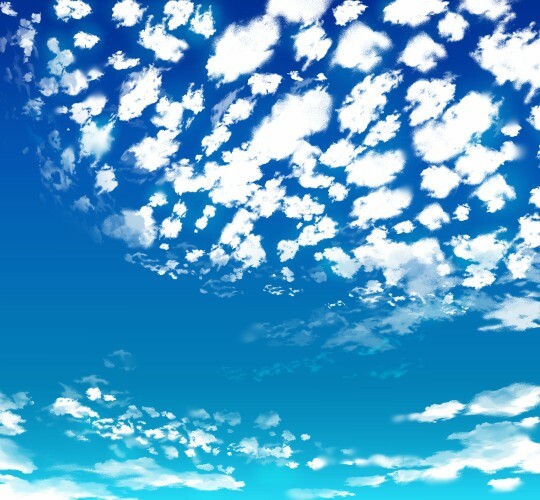 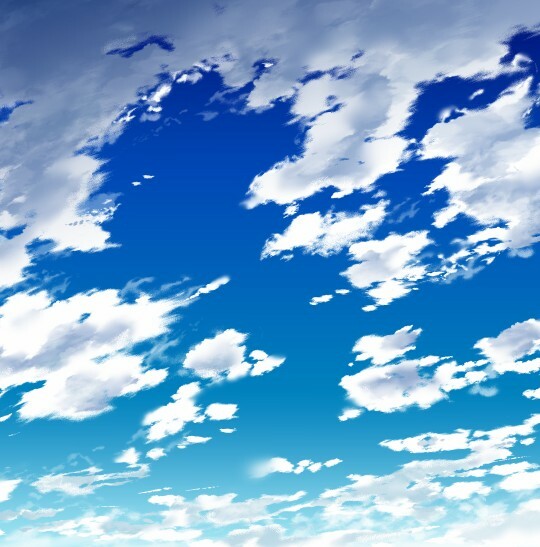 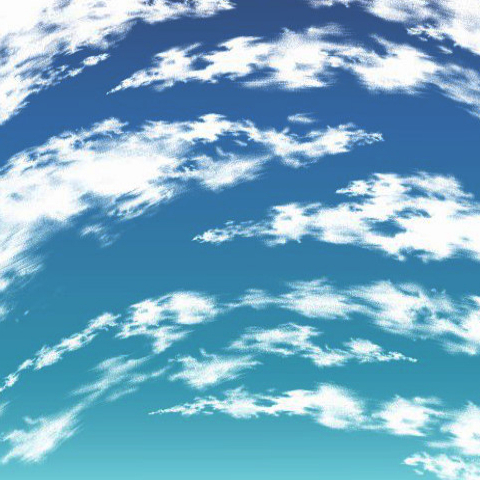 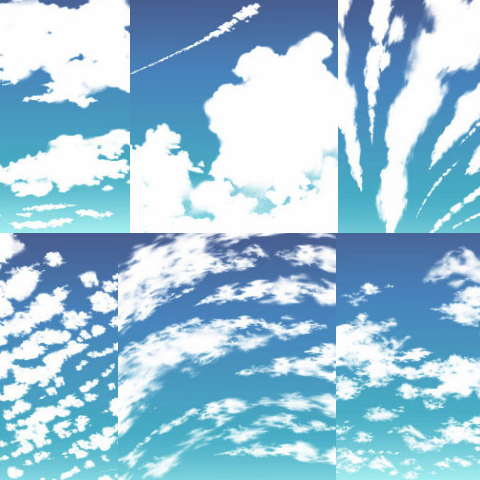 This is a brush material that create the most ordinary clouds. 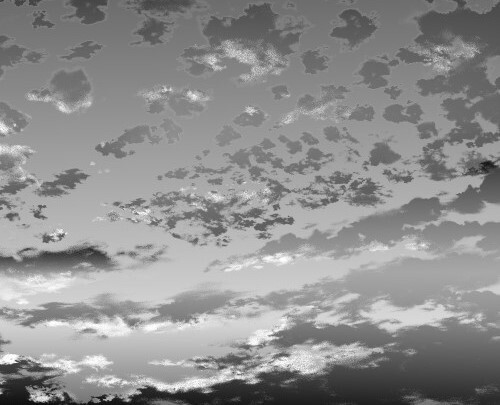 It is not only corresponds to color but also monochrome. 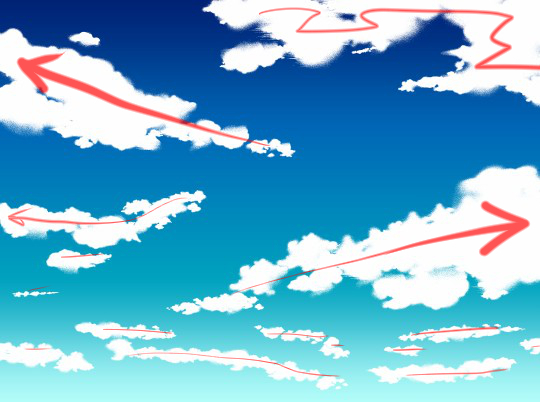 Freely decorate the sky expression with clouds by simple strokes. 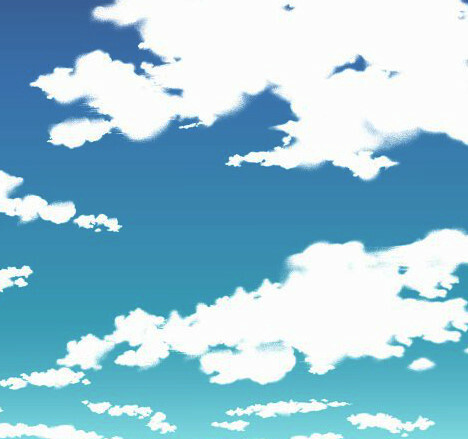 ※Please use white as drawing color. 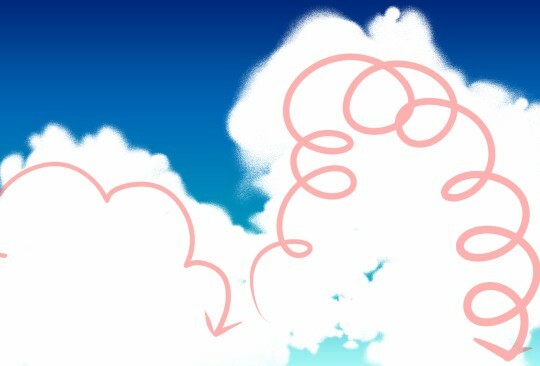 Example of different pen pressure. 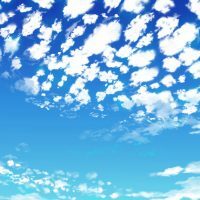 This is suitable for summer sky clouds. 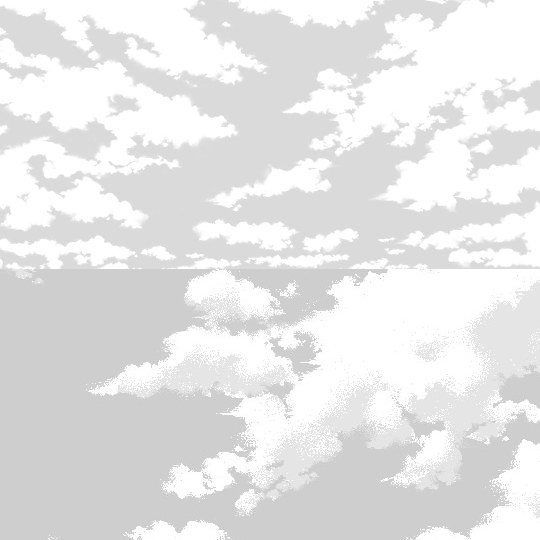 Brush material for smooth clouds with little of unevenness. 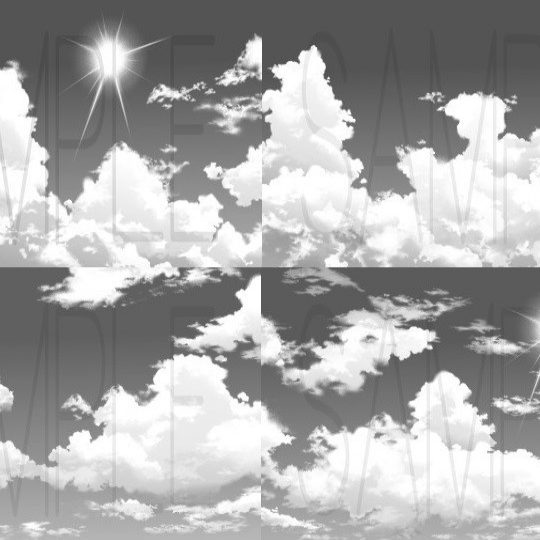 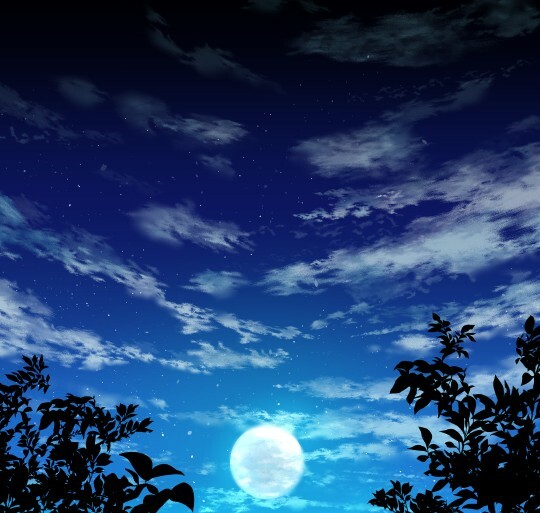 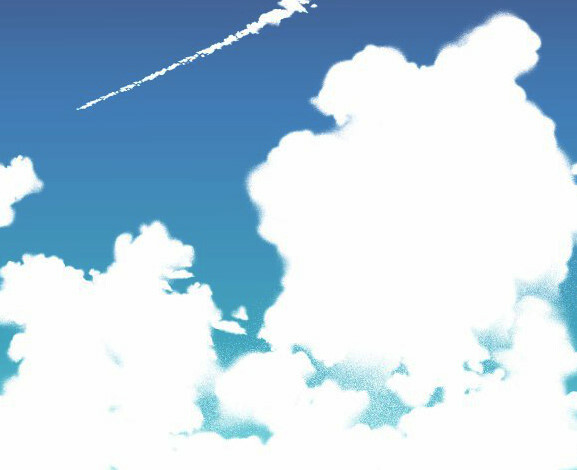 Brush material that can easily draw scaly cloud like fluff. 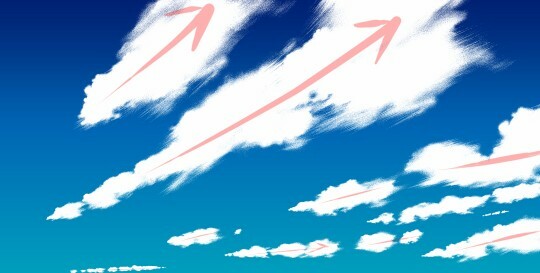 This brush suitable for cirrus clouds that are flowing. 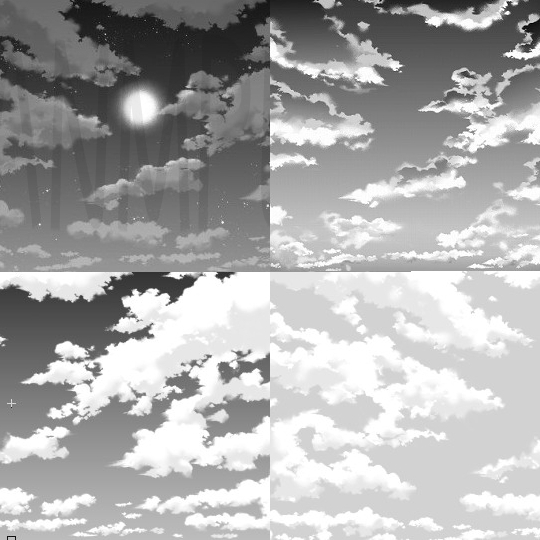 and it can be use on color and monochrome. 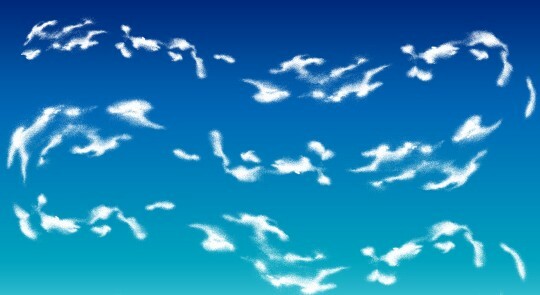 like draw clouds flowing along with stroke. 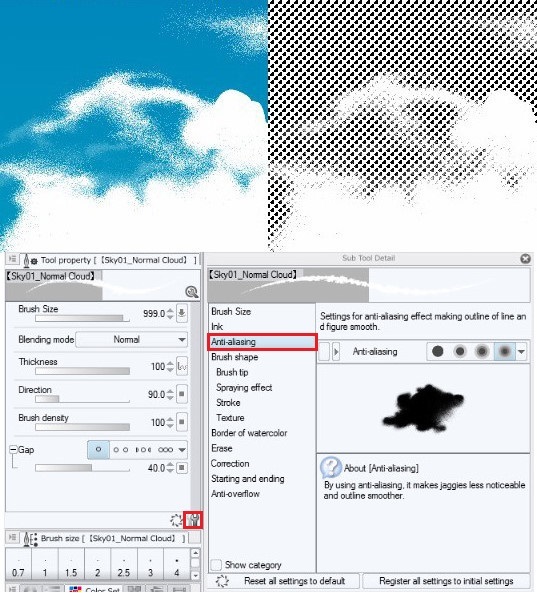 Example of Fog Cloud Brush with different pen pressure. 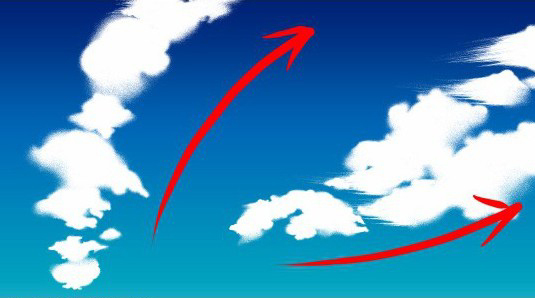 “Direction of Line” for different drawing style. 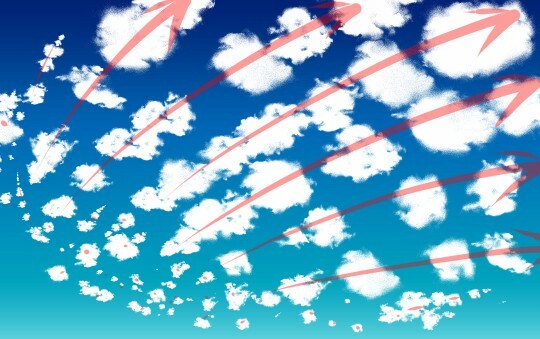 Example of after changing direction setting. 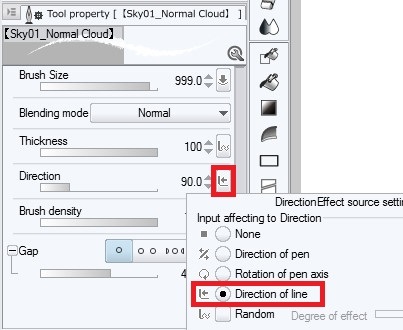 ※By changing the setting, it is possible to draw according to direction of stroke. 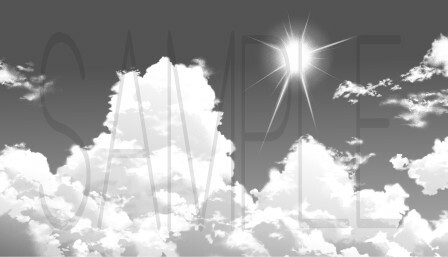 The initial state is a particle shape that corresponding to monochrome. 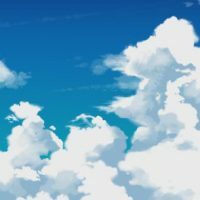 Please change the anti-alias setting to the right when using in color.